Are you feeling all over the place emotionally? If so, you are not alone, and it is happening for a specific reason. In these times, it is VERY easy to feel all internal resistance that is playing out within – thanks to the high energies that are that are bringing all of our issues to the surface. These high energies could be metaphorically described as waves of water adding pressure against all blockages and barriers within ourselves. It’s uncomfortable to hold on isn’t it? I can say this from my own experience: YES it is. These old thought patterns, beliefs, insecurities, defense mechanisms, false identities, emotional baggage, judgments and fears are getting heavier and much more difficult to carry along in our journey… Why? 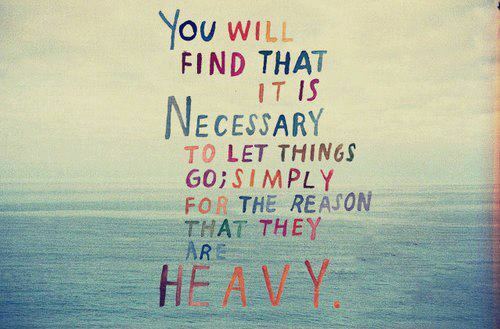 Because it’s heavy. It’s time to let go of what limits us, of what comes in between our natural state. It’s time to open the gates of resistance and let the light in. It may feel difficult to take this “leap of faith”. Letting go in complete vulnerability may sound like the worst idea to an ego that has been conditioned to want to control everything and avoid facing itself. But the moment we completely open ourselves up without any judgment and resistance… the built up water is released and after a while, the ocean becomes still again. It is only then that we can truly hear ourselves – not our thoughts – but our inner knowing. It is only then that we are able to observe everything for what it is, and become one with our natural state of peace. By letting go of all resistance and judgment, we allow the denser energies we have held onto to rise through us so we can fully feel and release them. Remember this: The only reason we try to hold on is fear, the core of all illusions. For us to evolve and see things from a higher perspective, we need to let go of the weights (belief systems, perceptions, emotional baggage etc.) that drag us down. Instead of dreading the moments where everything is coming to the surface, let’s embrace its purpose of inner transformation. After all, crashing realities allow new worlds to emerge. Here is also a collection of recorded talks and clearings that are very helpful in shedding light on many issues we are going through. They are all listed in the description box of this image. Next: What Are The Best Foods For Stronger Bones?